Clothes & Camera - Luxembourg Fashion and Beauty Blog: Trick or Treat? What do you think? I've been sculpturing the witch hats from black fondant, don't you think they look so fierce? What have you been doing, eating and dressing up as yesterday? Wow, soo nice and looks yummy..
Oh, die sehen so lecker aus !! You made these?? They look amazing! I especially love the ones with the bats pressed into them. Sometimes cupcakes can be too sweet so that's perfect! Sieht alles einfach zauberhaft aus! Those Halloween cupcakes look so spooky and yummy! Hope you had a fun Halloween! oooh das sieht wirklich super gut und lecker aus! vol schön! You can definitely be proud of these! Real pieces of art. And they look so delicious. Yum! These are so well made! You and your sis are definitely very talented! I'm craving something sweet now so I'm gonna go to the nearest cupcake store now! 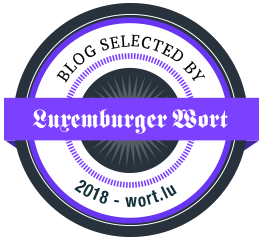 Hier ist das Ergebnis für die Abstimmung der Aktion 'Blog des Monats' ind er du nominiert warst. WTF I can't believe you made them, you should make your own business .. they look SO PRO! !